When Can You Deduct Margin Interest? Recently, one on my loyal tax clients called me about improvements she wanted to make on a rental property she has had for a number of years. She had a number of accounts and investments to choose from and wanted advice on the best one to use. We met and went over a number of options and eventually decided on borrowing against her stock portfolio at a local brokerage firm. They offered the best rate and payment terms compared to her other options. During the evaluation, we looked at any possible tax advantages and ultimately there were none available. We briefly thought we could use the brokerage account, but it turns out that the IRS only allows a tax deduction on margin interest if it is used to buy investment securities. Not for personal use, which is what the rental property would be considered in this case. If you are a cash method taxpayer, you can deduct interest on margin accounts to buy taxable securities as investment interest in the year you paid it. You are considered to have paid interest on these accounts only when you actually pay the broker or when payment becomes available to the broker through your account. Payment may become available to the broker through your account when the broker collects dividends or interest for your account, or sells securities held for you or received from you. 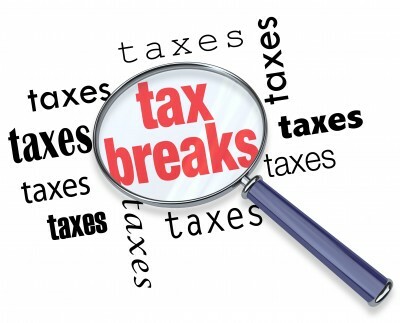 Author TaxAssurances, LLCPosted on August 21, 2015 November 6, 2016 Categories TaxesTags accounts, advice, best one to use, best rate, borrowing, broker, brokerage account, cash method, deduct, deductions, dividends, evaluation, improvements, interest, interest on margin accounts, investment interest, investment securities, investments, irs, itemized deductions, local brokerage firm, margin interest, number of options, other options, pay the broker, payment terms, personal use, possible tax advantage, rental property, sells securities, stock portfolio, tax clients, taxable securities, treasury departmentLeave a comment on When Can You Deduct Margin Interest? Starting an after school money club with a few other classmates can go a long way in the development of a child’s understanding of money. They can not only arrange trips to the bank together but they can also sit down every so often and talk about how money affects their lives. This provides a great experience that can go a long way in a child’s understanding of money. Today many schools do not make money management a part of their daily curriculum. There are a number of very valid reasons why. Something has to be done however to bridge the money intelligence gap. The reason, at a certain point every child will grow up and have to be money smart. Without lessons on money they will have a financial intelligence gap that could hinder them. It won’t help with their family and it won’t help their work life. Clubs can do a number of things to promote childhood understanding of money. As mentioned earlier members can take monthly trips to local banks. While they are there, club members can deposit allowance, birthday and holiday money they get from family and friends. They can talk with the tellers, bank managers and other employees about their accounts and how they work. They can also go over many other aspects of banking. The young members of the club can also do reports on different aspects of money management and share those finding with their fellow members. They can go over the history of money, report on how salaries work or explain to each other how bills are paid. However, no matter what the money report is about each member gets something that they might not have received before. Those who have, can add to the conversation. Another great way for children to bridge the money intelligence gap is to have parents come into the meetings with their own experiences with how to handle money. Parents can do this on their own, through the PTA or working with the local bank representatives. Children look up to adults and parents especially. Parents can work together on the right ideas and presenters to give their children the best lesson they can on how to handle money. 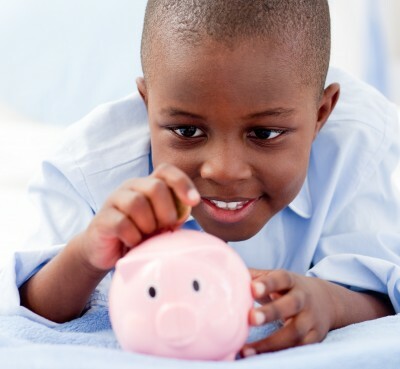 Children of all ages can start or continue the process of learning about money management along with everything else they need to learn. The challenge however has been how to make that learning happen on a regular basis. Starting and expanding a money club can go a long way in encouraging that learning process.